How can I add a message to my Print Club request? Find out the different ways that you can connect with other artists in Print Club. 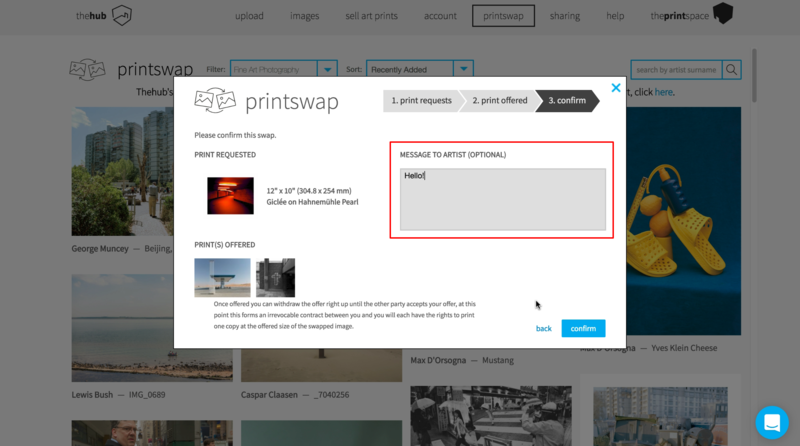 Upon requesting a swap, you will see a "message to artist" box where you can add an initial message to the artist you are requesting a swap from. Upon your swap confirmation you will see their email address so maybe you could even send a picture of their print in its new home!